Local Flair is back, and this time I had the pleasure of meeting Hayet Zerelli, a mum of 4 who runs a jewellery business. Hayet’s jewellery is not only stunning, but every single component is hand crafted to perfection. Her designs include antique Tunisian medallions and precious real stones and metal. P.S. Giveaway at the end of the post! Originally from Tunisia, Hayet Zerelli has been living in Dubai for the past 20 years. She is mother to four children, and passionate about Art from a young age. Hayet has a background of fashion and design, studying in both Tunisia and England. She has also studied and sold paintings, and she absolutely loves to travel the world. It all began nine years ago when Hayet decided to start creating jewellery for herself, since all the ones on the market used metals that caused her to have allergic reactions. The jewellery Hayet created started off as a fun project, and soon it materialised into the business that it is now. Hayet took much of her inspiration from Tunisia, and the designs were quite simple to start off with. Since she had a background in Art and Design, she began to think outside the box, and began to modernise the traditional and classical Tunisian designs. Hayet recalls that she had a “Hand of Fatma” keyring which she had for almost 17 years old, but she found it to noisy as a key ring, and so she added the element into a necklace to revamp the design. Similarly, Hayet began to take the main principal of Tunisian jewellery heritage and moulded it in a way to make something new, by often changing its texture or shape. The Hand of Fatima is prevalent in majority of Hayet’s designs. What is it’s significance? The Hand of Fatima, also known as the Hamsa, has a cultural significance for Hayet and many Tunisians, as they believe it protects the wearer from evil. Hayet also believes in its protecting power, as well as really liking the variation of designs, and is always wearing the Hand of Fatima, in one form or another. The Hamsa has become a widely used symbol since celebrities and jewellery tycoons such as Cartier began to showcase the symbol. All of the “Hand of Fatima” pieces in Hayet’s jewellery line are individually handcrafted, many of which are authentic antique heirlooms from Tunisia, passed down generations. Hayet Jewellery caters for all budgets as the Hamsas can be found in a range of metals, such as gold, silver, copper, and even ones with raw diamonds. Another prevalent designs in Hayet’s jewellery is the use of links, also known as Rihana. This is particular to Tunisia as Hayet was inspired from the use of traditional way that a chain would dangle from the robes, holding a medallion at the end. Hayet takes the concept of these chains are creates variations by changing their shape or texture with the use of hand-hammering many of the designs herself. The most rewarding part for Hayet is when people recognise her designs being worn by others just by looking at them, and to hear the positive feedback from happy clients. She also enjoys working with clients that come back time and again to revamp jewellery pieces they had bought some time ago. Licensing and such facets of business are rather challenging, says Hayet. Copyright is another thing which creates grief when another designer blatantly steals Hayet’s designs. To overcome this, Hayet creates new designs every season, and she also says how she enjoys to keep her business a personal thing. This way, it is her that gets to liaise with clients and also work on the jewellery herself, and so she knows that the quality control will be at it’s best this way. This ensures she has a good number of loyal clients that love her designs. The most memorable commission came from a client of over 6 years, of Indian origin, who had many antique pieces that were both collected as well as handed down to her from her predecessors. This lady brought three traditional chains, also known as Mangalsutras, to Hayet, one of which was almost 5 metres long. Hayet took these chains and modernised them in a way that she could wear them in a way that remained traditional and personal, yet contemporary at the same time. The Hand of Fatima and Chain links are Hayet’s best sellers, and since she has such a range of them, Hayet believes there is a design for everyone. 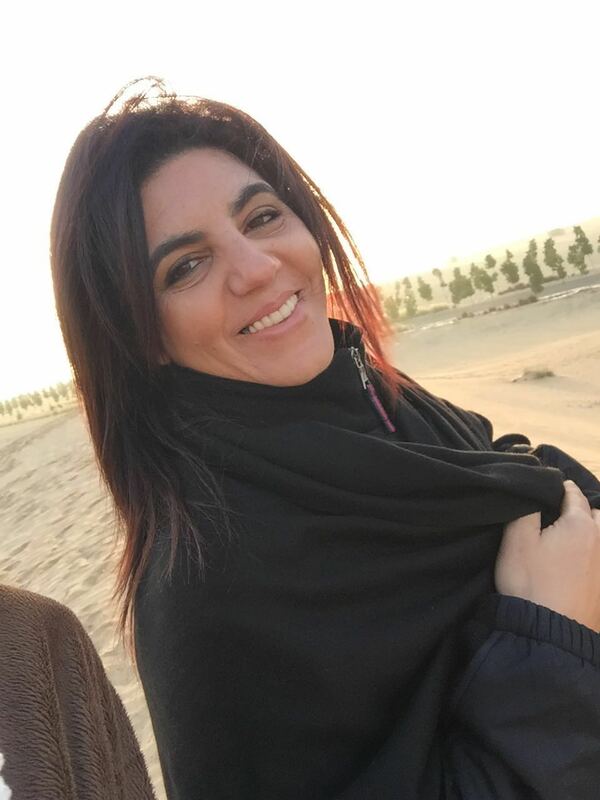 Hayet’s day begins every morning at 6 am, as she dives into a busy day taking care of her 4 children, being an active member of their school as well as the Arabian Ranches Ladies Group. Once the day winds down, and the children are in bed, that is when her creations take life in her studio.In between these structured days, Hayet travels often around the world, both for business and pleasure, and to collect stones and unique elements for her jewellery designs. Hayet’s advice for women deciding to start a business would be that make sure you are completely passionate about it, and that it works around your priorities. For Hayet, her priority is her family, and therefore she make sure anything business related is adjustable around her family, especially the daily routine of her children. Hayet is content with the way her business is going currently and would be happy if it remained the way it was, in exception to having new clients, more people knowing about Hayet’s Jewellery, and taking part in more events where she can showcase her work. This is because Hayet states that she an artist at heart, and does not want to be constrained by her business to one place if it grew to be a larger responsibility. Hayet’s Jewellery has grown from her passion and she wishes for it to remain as so, and not a means for money. Hayet loves that she is the last person to assemble and handover each and every jewellery piece to her clients, and is not willing to loose that personal touch. Prior to meeting Hayet, I admired photographs of her jewellery but I must admit they do not do the jewellery any justice. I could only truly appreciate the craftsmanship and effort that went into every piece of jewellery after Hayet showed them to me personally and spoke about the inspirations behind each design. Her designs are outstanding and she has quite an eye for detail and balance. I love that many of the necklaces she showed me could be worn in different ways, and therefore one necklace could create numerous looks depending on the way you styled or hooked it. Hayet also very kindly gifted me with a beautiful green stoned necklace with a hand-hammered silver Hand of Fatima. It looks absolutely gorgeous and I love the way the textures feel and shine in the sun. (You have a chance to win the very same necklace over on my Instagram giveaway. Details are posted below!) I would definitely recommend Hayet’s jewellery to anyone looking for a statement piece with a unique story behind it. 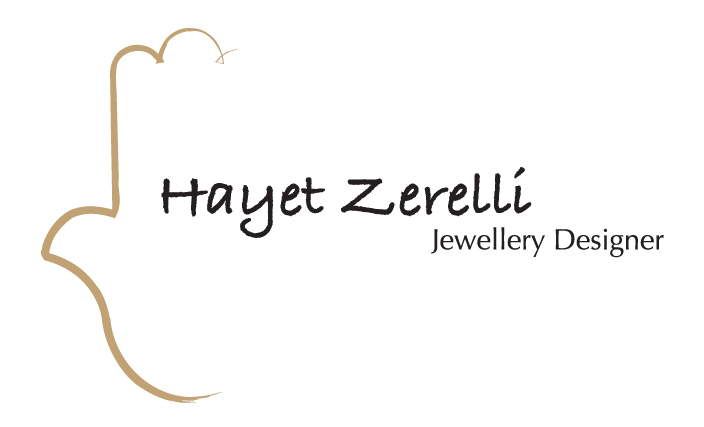 If you are interested in owning a timeless piece of jewellery head on over to Hayet Zerelli Jewellery’s website, or contact Hayet through social media as linked below. All photographs in this post are the property of Hayet Jewellery, and have been used by the owner’s permission. Such a great success story! I love the creativity in her designs, and it looks like she’s very passionate about her work. Yes, she really is! They are so much more gorgeous in real life too! those are really beautiful pieces which I think I will wear! They really are so gorgeous! The pictures dont do them justice!